So going into The Body Shop was never going to end well was it....especially when it's an outlet and everything is cheaper! Me and my other half took a little trip to York Designer Outlet yesterday and I marched myself straight into The Body Shop and I didn't look back. I've had a few things on a little mental wishlist for quite some time now and thought this would be the perfect time to pick them up! To make matters worse for my bank balance too, there were posters everywhere letting shoppers know that if you purchase 4 items you'll receive 40% discount on the RRP...40%!! The beauty blogger in me couldn't resist and I helped myself to some much needed skin treats! The only downside to this being an outlet shop was the fact that there wasn't any relatively new collections in so I'll have to indulge in the Green Tea range another time. 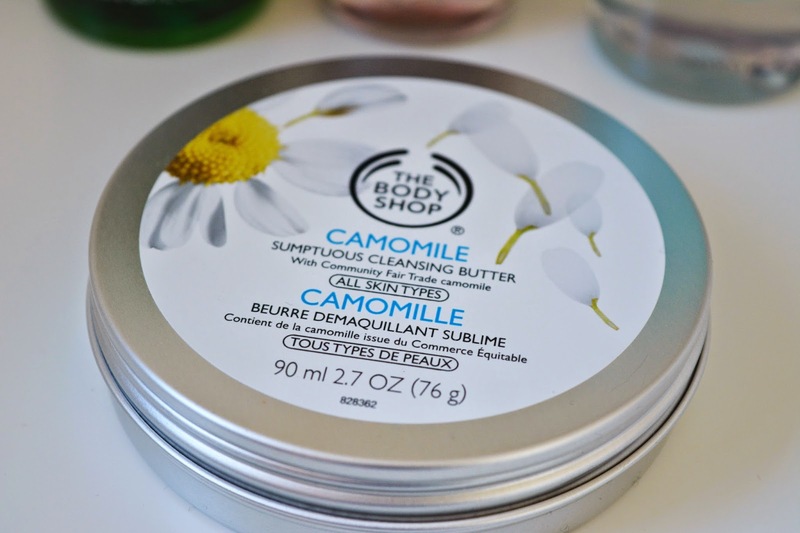 For now though, my first port of call was the Camomile Sumptuous Cleansing Butter which is a staple product and one I do not know how I've waited so long to try! I'm in a bit of a rut with my skincare at the minute and I was on a mission to buy some treats that would help me get back into some sort of a routine and this has done just that. It removes all of my makeup with minimal effort either by using a cotton pad or just my hands, and it nourishes my skin as it does so! The smell is amazing too, and since a little goes a long way, I'm sure this will last me for a good while yet! 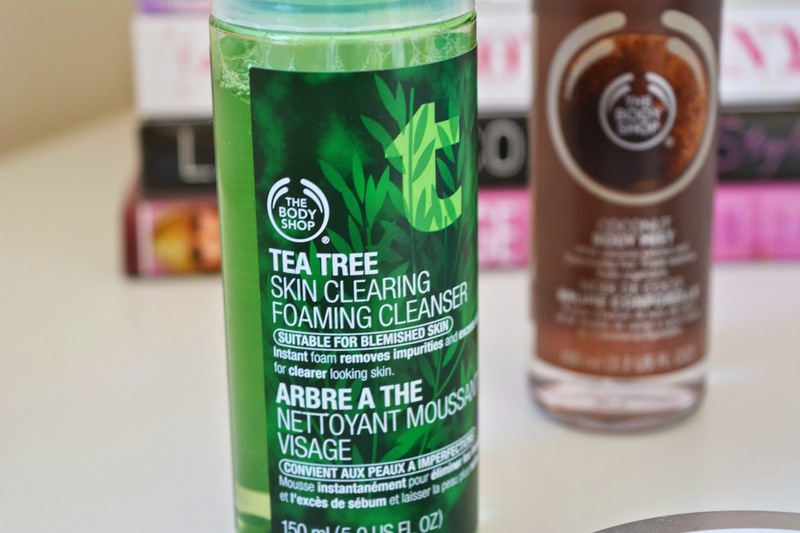 Next up I picked up an old favourite; the Tea Tree Skin Clearing Foaming Cleanser! I used to use this back in the day when I didn't really know a bloody thing about skincare and just went for anything tea tree cos it's a standard skincare formula but this is actually a brilliant product! My skin is looking oh so incredibly dull at the minute and blemishes are slowly taking over my face thanks to frequent gym trips (sods law, what are you) so I'm hoping this cleanser will help to brighten and de-blemish! I also picked up my favourite body spray...and possibly favourite scent EVER...the Coconut Body Mist! Anyone know spends enough time with me will know how much I love this and I'm forever spritzing myself with it whenever I can! 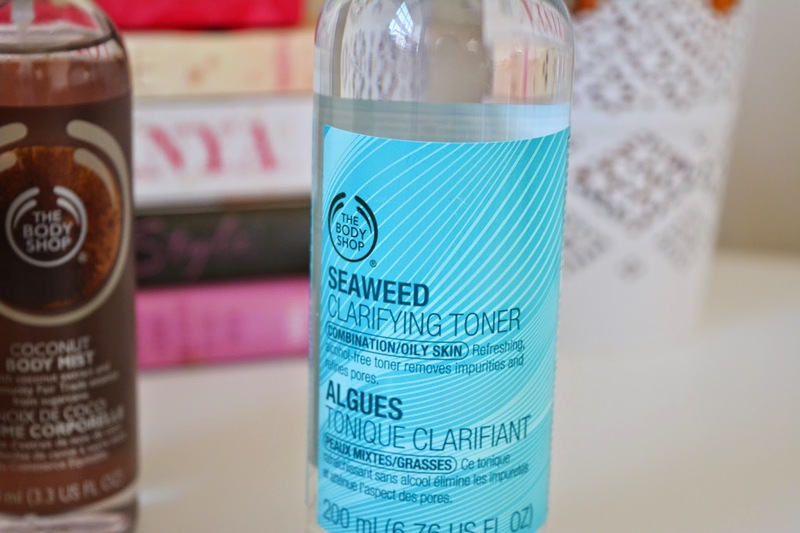 Lastly I picked up the Seaweed Clarifying Toner, which I am super excited to use. I've only just gotten into the habit of using a toner (I'm currently on the hunt for a good serum too if y'all wanna send some recommendations my way! ), and I'm getting a little bored with my trusty Garnier Refreshing Toner, so I thought I'd give this one a go! I love the seaweed range after using the face mask so I'm excited to see how I get on with this and if it gives me the same fresh feeling! What have you been loving from The Body Shop? Do you have anything to recommend? Let me know in the comments below and don't forget to follow my blog on Bloglovin' if you'd like to keep up to date with all of my posts! Ooh intrigued by the camomile cleanser - what's the consistency like? Do you wash off? I love coconut smells, from a certain month it always gets me excited about summer! I have a foot scrub from The Body Shop which I love. And their handcreams are also favourites of mine. Haven't tried any of the products you mentioned (yet). Maybe soon! That discount is amazing! That camomile cleansing butter is really intriguing! Would love to try that out myself. I now want that coconut body mist aha! I use the tea tree face wash, it's amazing! Great post, I love a good bodyshop haul! I just love the coconut mist, and everything from that scent range in fact! 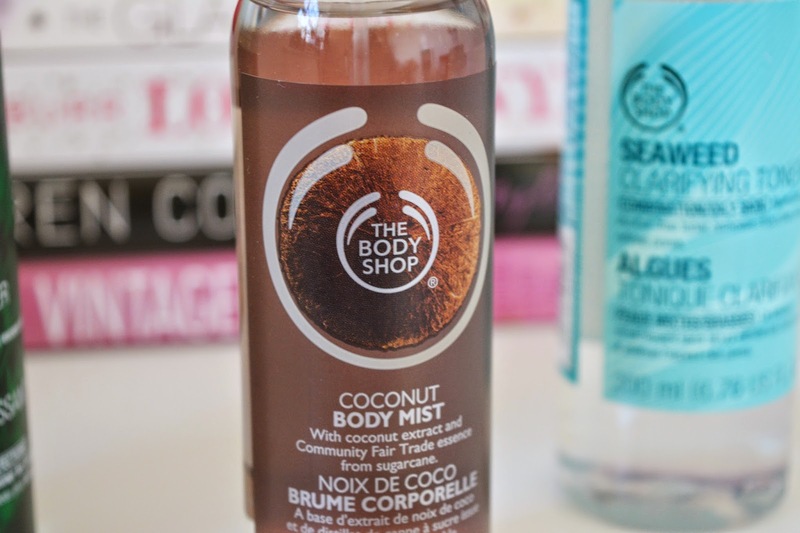 I bet the coconut body mist would be a great holiday scent! I need the Coconut Body Mist! That outlet shop sounds like so much fun - I'd definitely be splurging in there too!